Mercedes-AMG is planning to offer a plug-in hybrid version for every model in its line-up over the course of the next few years, with the first of these set to arrive in 2020, Autocar reports. This is in line with Mercedes-Benz’s big push in all segments related to electrification, namely EQ Boost (mild-hybrid), EQ Power (PHEV) and EQ (full electric). There are currently a number of mild-hybrid variants in the AMG range, including the CLS 53 and the recently-launched GLE 53 4Matic+, which made its first public showing in Geneva. These feature a 48-volt electrical system, an electric auxiliary compressor and a EQ Boost starter generator, which provides an additional 21 hp and 250 Nm of output assist. The mild-hybrid offerings are however seen as an interim solution because of the need to meet increasingly tight EU fleet emissions targets. “All the AMG vehicles will be available in the future with plug-in hybrids as an option. Mild hybrid is not the strategy of AMG, because the emissions savings are too small,” said Mercedes’ head of external affairs for emissions, Frank Overmeyer. Currently, Mercedes-Benz has EQ Power versions of the C-Class, E-Class and S-Class out in the market, but the PHEV numbers are expected to swell to over 10 this year, and to more than 20 models by 2020, according to Ola Kallenius, member of the board of management of Daimler AG responsible for Group Research and Mercedes-Benz Cars Development. The electric-only operating range for its PHEVs is currently up to 50 km on a worldwide harmonised light vehicles (WLTP) test cycle, but Kallenius said this will be doubled to 100 km when the next-gen of PHEVs debut. The AMG PHEVs will come with a performance-tuned version of the EQ Power system, which will sacrifice some operating range, according to Overmeyer. “The battery itself and the application, including the electric motor, will be the same, and you can have a significant boost [in performance] that will reduce the range, but the experience will be better. Same battery, same drivetrain, different application. In an SUV, it might offer 100 km, but it might only be 60 or 70 km in an AMG,” he said. 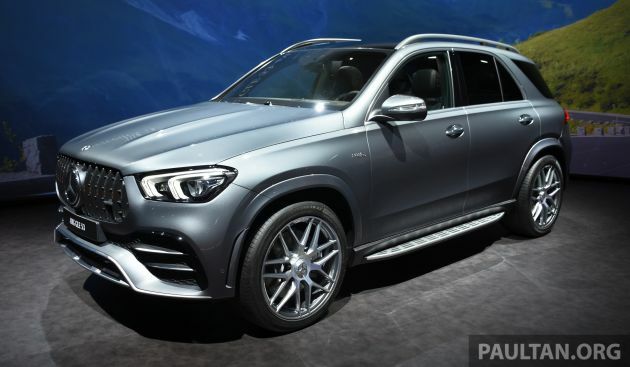 The post All Mercedes-AMG models to feature a PHEV variant appeared first on Paul Tan's Automotive News. 0 Response to "All Mercedes-AMG models to feature a PHEV variant"